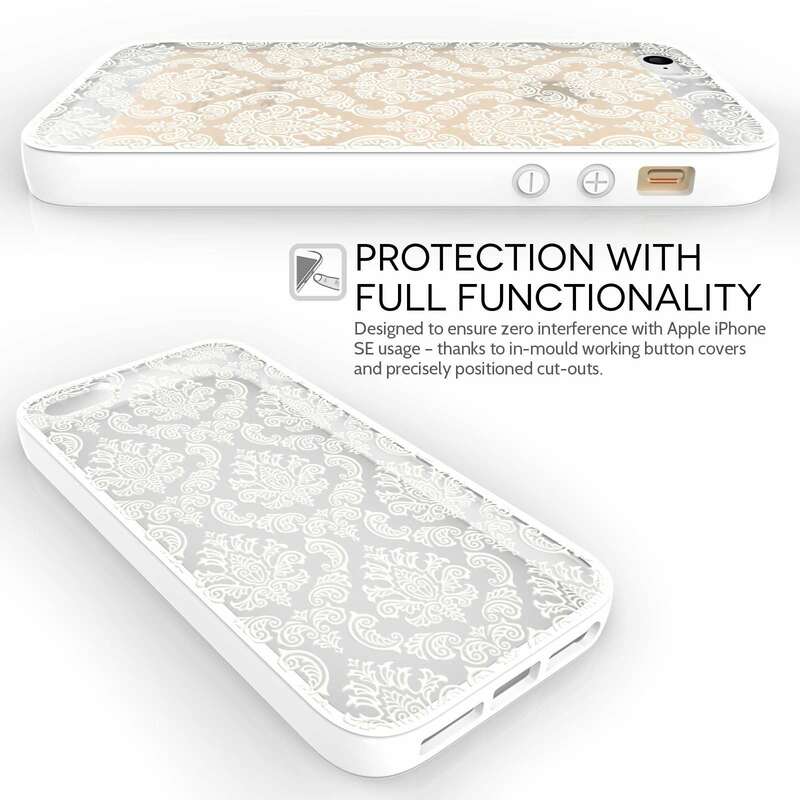 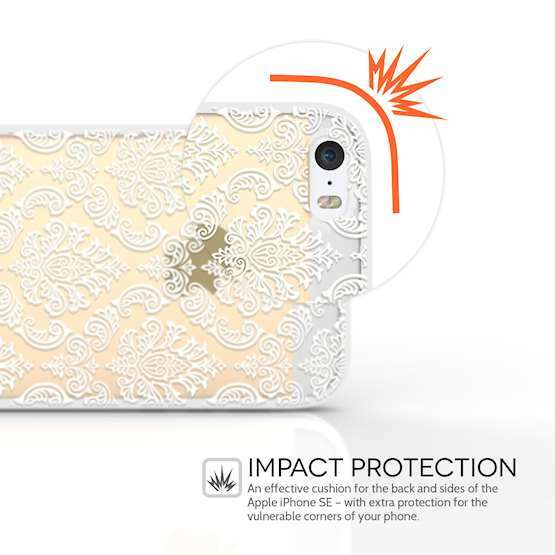 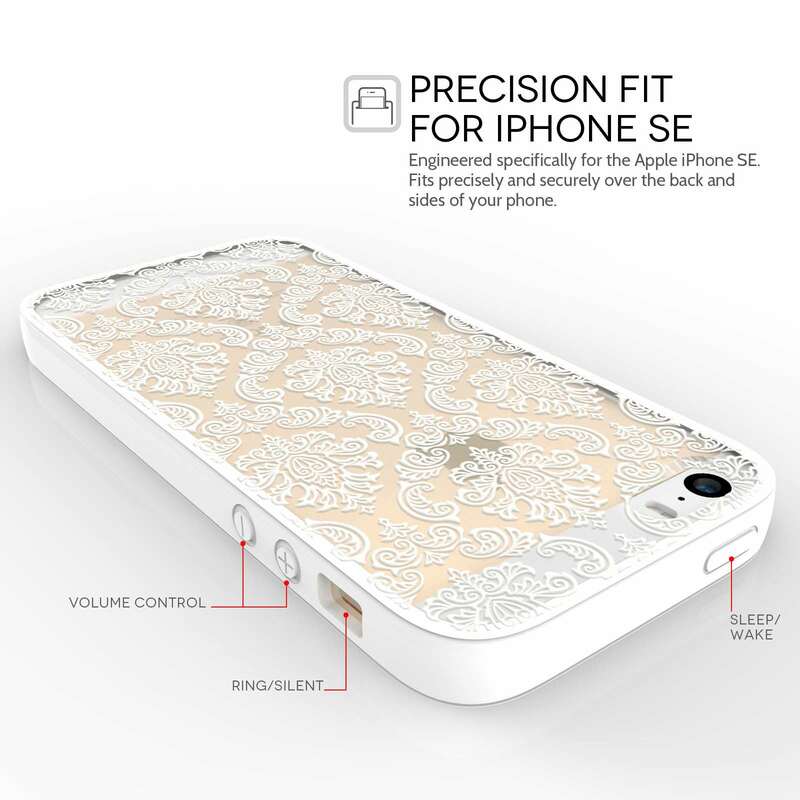 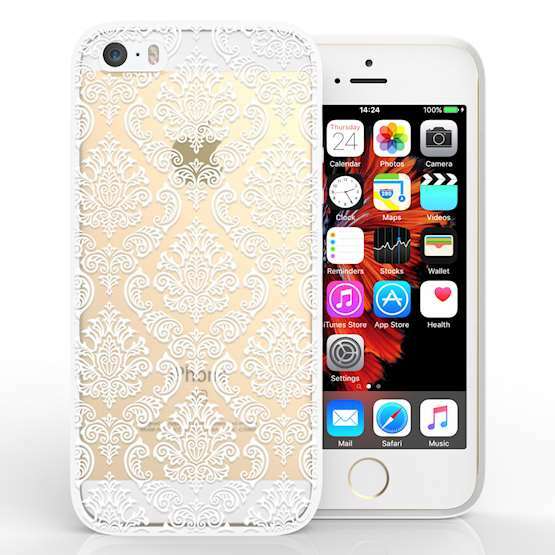 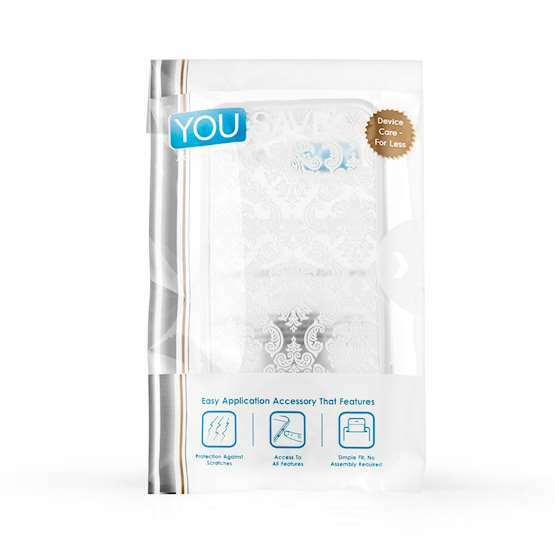 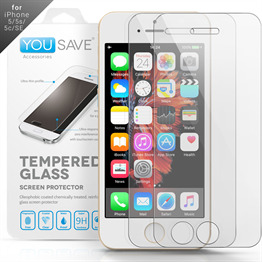 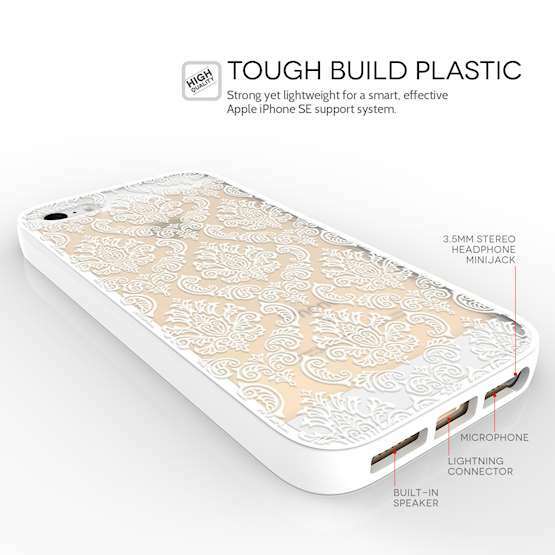 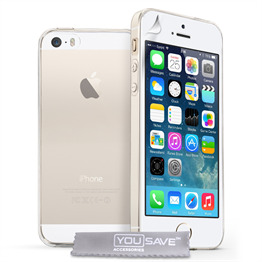 Featuring a charming ‘etched’-style floral pattern against a simple background, the YouSave Accessories iPhone 5 and SE TPU Hard Case - Damask White from YouSave Accessories offers a subtle way of enhancing the appearance of your mobile. 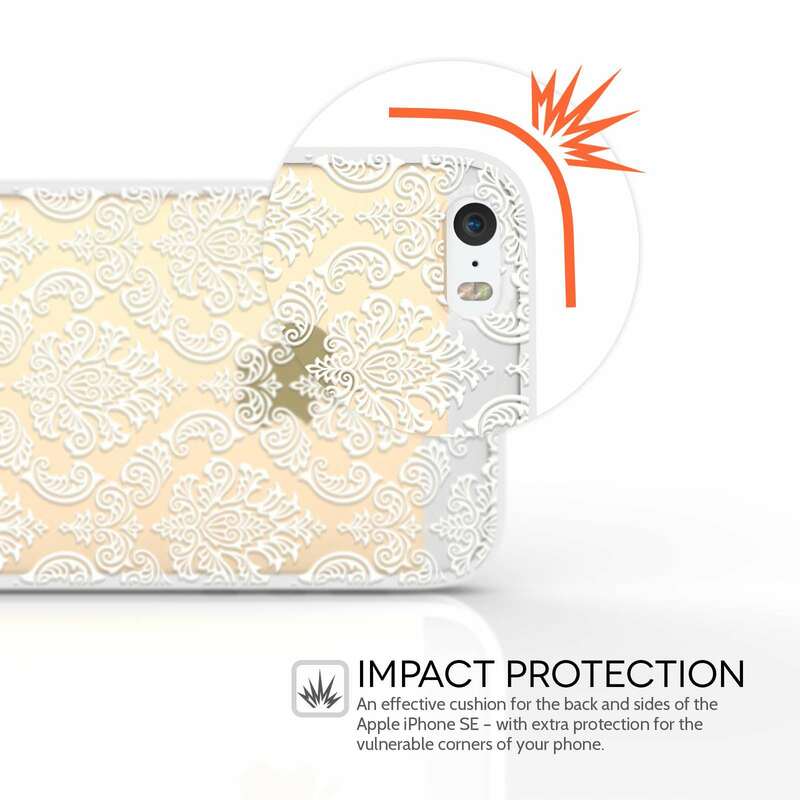 The case is made from hard plastic so it’s tough enough to shield your handset from the type of knocks, scratches and spills that can threaten your phone if you leave it unprotected. 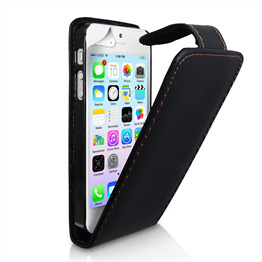 The silicone construction of this YouSave Accessories iPhone 5 and SE hard case means it’s also incredibly lightweight. 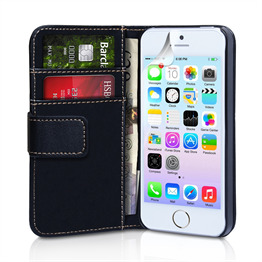 It slots over the back of your phone easily and securely. 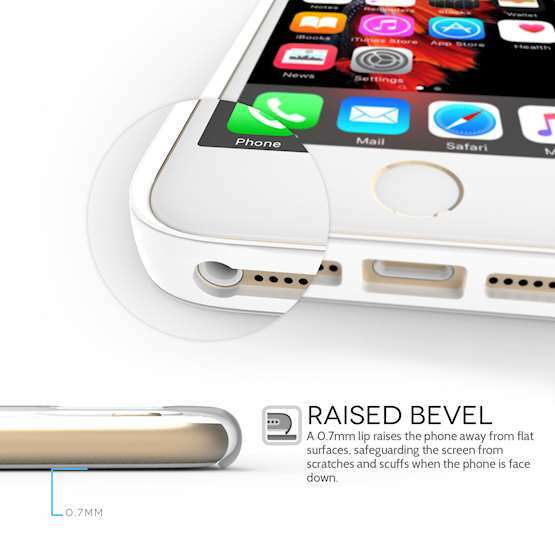 Once there, you get complete access to the ports, screen and camera on your mobile. 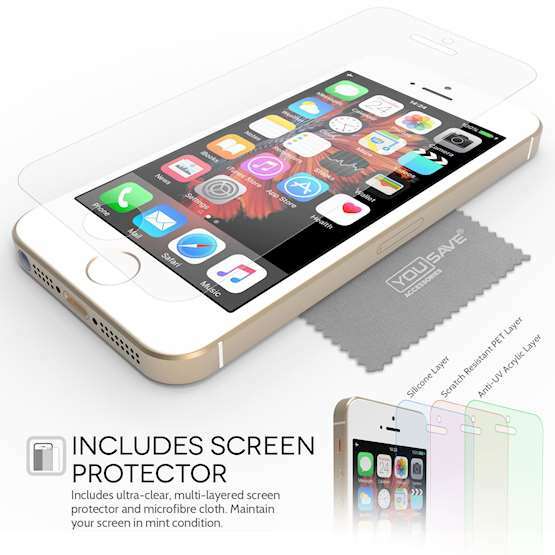 This case also comes with a free screen protector.